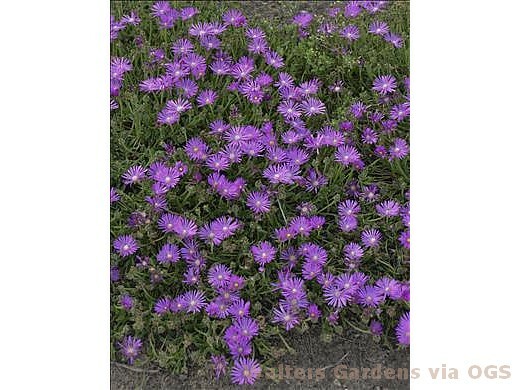 Product Information : Mat-forming succulent with bright purple-pink flowers. Long-blooming, tolerates hot, dry sites. Common name comes from transparent flakes on the foliage resembling tiny pieces of ice. Mature Size : 4" x 20"